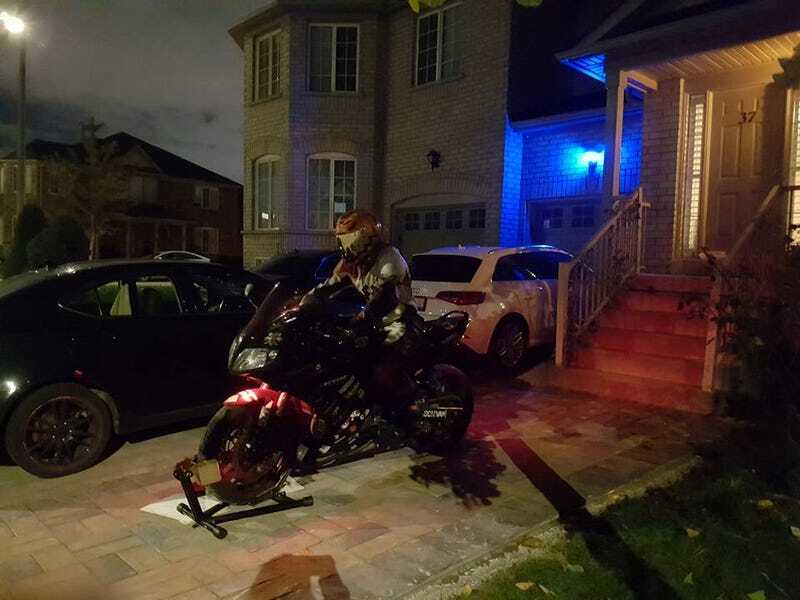 sat on the bike and scared kids as they walked by to the door. it was funny. scared some kids dad so hard he nearly jumped over the lexus.